Losing fat after months of bulking up doesn't have to be difficult. All you need is a plan and the discipline to follow it. From meal timing and macronutrient ratios to workout intensity and duration, every detail matters. If you do it right, you'll not only shred fat but also make those abs pop and feel amazing. You can also track your daily food intake on a nutritional database like MyPlate. Cutting has nothing to do with crash diets and starvation. Instead, it requires a gradual reduction in energy intake and a slightly different approach to exercise. Pro athletes and fitness competitors go through bulking and cutting phases year-round. Basically, they put on weight in order to build muscle and then lose the extra fat. But why would someone do that? Hypertrophy — or muscle growth — requires a caloric surplus, meaning that your energy intake must exceed your energy expenditure. Some fat gain is inevitable when bulking up. If you're a newbie, though, you may be able to gain mass and strength without increasing your calorie intake (until your body adapts to the new movement pattern). Fat loss, by contrast, requires a caloric deficit, so you need to burn more energy than you take in. Athletes go through cutting phases to shed fat and improve muscle definition. At this point, it's important to reduce your calorie intake, adjust your macros and engage in higher intensity workouts. When cutting, you want to lose fat and preserve as much lean mass as possible. Bulking and shredding require planning. You can't simply binge on junk food and cookies in an attempt to gain weight and then starve yourself to get back in shape. That's a recipe for failure. The cutting phase isn't about fad diets or skipping meals. This would lead to muscle loss and poor overall health. According to a 2018 study presented at CMR 2018, crash diets may impair heart function and damage the heart muscle in people with cardiovascular problems. These slimming plans do promote fat loss and have potential health benefits, but they may also lead to arrhythmias and exacerbate heart failure symptoms. When you start cutting, it's recommended to gradually decrease your calorie intake and burn more energy through exercise. Maintain a high protein intake at all times so you can preserve lean mass and keep your metabolism up. Most important, clean up your diet and stick to whole, minimally processed foods. First of all, plan your cutting diet and exercise plan. Determine how many calories you need to consume daily to lose weight. Reduce your daily calories slowly to prevent your body from entering starvation mode. Start by cutting 300 calories a day, track your progress for a week or two and then adjust this number accordingly. Tweak your workout routine as well. Add some cardio to the mix or throw in some HIIT (high-intensity interval training) to speed up fat loss. 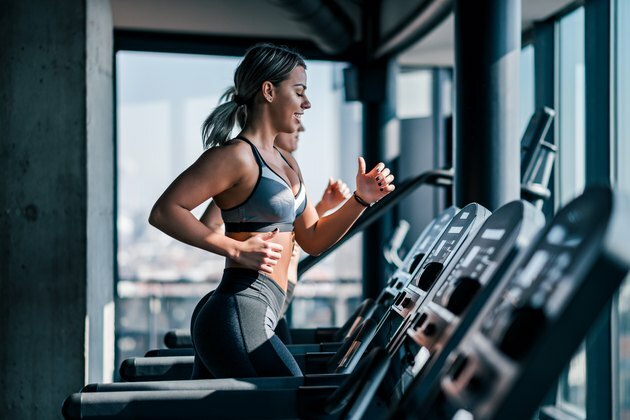 A 2014 review published in the Journal of Novel Physiotherapies suggests that HIIT may increase fat oxidation, reduce metabolic risk factors and improve body composition in obese and overweight individuals. However, athletes use this training method too as it yields better results in less time** **compared to steady-state cardio. Depending on your fitness level, consider adding drop sets, pyramid sets, supersets, partials and other lifting techniques to your routine. Drop sets, for example, involve completing several sets in a row and dropping the weight from one set to the next until you reach muscle failure. This strategy increases training volume and efficiency, which allows you to build mass. When you're on a cutting diet, these training methods can make it easier to preserve muscle and lose fat. It's not uncommon to see athletes indulging in ice cream, cookies or fries while on a bulk. That's not the best approach, but it makes it easier to put on weight. When you're cutting, though, clean eating is a must. Swap refined carbs and simple sugars for complex carbs. Veggies, sweet potatoes, wild rice, legumes and fresh fruits are all good choices. Get your daily protein from unprocessed lean meat, fish, eggs and low-fat dairy. Nuts, seeds, avocado and unrefined vegetable oils provide healthy fats, but you should consume them in moderation as they're quite high in calories. Clean eating not only promotes fat loss but also gives your body a well-deserved break after bulking up. Processed foods put stress on your liver and affect overall health. According to a 2018 study featured in The BMJ, increasing the amount of ultra-processed foods in the diet by only 10 percent may elevate breast cancer risk by 11 percent and overall cancer risk by 12 percent. These products have also been linked to high blood pressure, obesity and dyslipidemia. When you're cutting, it's easier to lose muscle and strength. Most diets are low in carbs, so you may not have as much energy and stamina as usual. One way to preserve lean mass and reduce muscle breakdown is to increase your protein intake. A 2016 clinical trial published in The American Journal of Clinical Nutrition suggests that consuming more protein than the recommended daily intake while in a calorie deficit helps preserve muscle, especially when combined with exercise. Low-calorie diets have been shown to cause a 20 to 30 percent decrease in lean body mass. Protein supplements combined with strength training helped dieters maintain lean mass during caloric restriction. Your muscles need a constant supply of protein to grow and recover from training; aim for at least one gram of protein per pound of bodyweight to reduce catabolism. Spread your protein intake evenly throughout the day by eating lean meat, fish and eggs at every meal. If you're a vegan or vegetarian, fill up on tofu, green peas, lentils, beans and other plant-based high-protein foods. Protein shakes and low-carb protein bars can help, too. Just because you're trying to shred fat doesn't mean you should cut out carbs. Meal timing is the key. Carbs replenish your glycogen stores, providing the energy you need for intense training. These nutrients are the body's main source of fuel. The thing is, your body metabolizes carbs differently at different times of the day. The carbs consumed post-workout will have a different impact on body composition than those consumed before bedtime or on rest days. For example, you're using less energy late in the evening, so any carbs you eat are more likely to be stored as fat. To get leaner and prevent weight gain, save your carbs for after workouts. As Jim Stoppani, Ph.D., points out, the carbs consumed right after exercise are almost guaranteed not to be converted into body fat. Instead, they'll replenish muscle glycogen stores, leading to faster growth and recovery. For best results, consume about 40 grams of protein and no more than 60 grams of high GI carbs after leaving the gym. Along with protein, BCAAs are among the most popular sports supplements on the market. This acronym stands for branched-chain amino acids, three key nutrients that support muscle growth and repair. Leucine, isoleucine and valine — the three BCAAs — help preserve lean mass and muscle performance during caloric restriction, according to a 2016 research article published in the Journal of the International Society of Sports Nutrition. These nutrients support muscle protein synthesis and accelerate recovery, delay fatigue and reduce catabolism aka muscle loss. BCAA supplementation is even more important for those on a low-carb diet. These products will allow you to work out harder and for longer periods of time, maintain lean mass and recover faster from training. They may also help improve body composition, making it easier to get in shape after a bulk.